Envision Williamston Executive Director Sonya Crandall announced this week that the town’s economic development program is launching a “Facade Improvement Grant Program,” this spring. 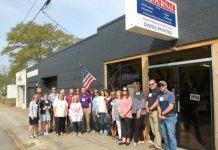 “It is intended to stimulate improvements to the exterior of commercial buildings within the Town of Williamston,” Crandall said. 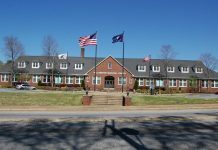 Funding for the program is provided through the Palmetto Business Association in partnership with The Municipal Association of South Carolina and with Envision Williamston. A five-person Facade Improvement Steering Committee (FISC) will oversee the project. The Facade Improvement Grant Program (FIGP) provides financial assistance to commercial property owners and business owners within the town limits. According to Crandall, the purpose of the FIGP is to support the revitalization of the Town’s commercial corridors by stimulating private investments in high-quality improvements that enhance the appearance of buildings and properties and eliminate blight and non-conforming design standards. Eligible applicants include owners of commercial properties and owners/managers of businesses located within the Town of Williamston. Business owners/managers who are leasing a building for which improvements are proposed must submit a letter from the owner giving consent and approval of proposed project plans. The program provides for a one-time reimbursement grant with the amount not to exceed $2,000 with the business owner providing a match of 50%. Example: If the project cost is $4,000, the applicant can be awarded a grant in the amount of $2,000, with the business owner contributing $2,000. Eligible expenditures shall include expenses related solely to exterior improvements. Improvements must be consistent with recommendations set forth in master plans and long-term goals for the area in which the property is located. Allowable improvements include exterior building improvements (cosmetic and/or structural), painting, signage, windows, and awnings which are visible from the street. Applications will be accepted from February 15 through April 28, 2017.